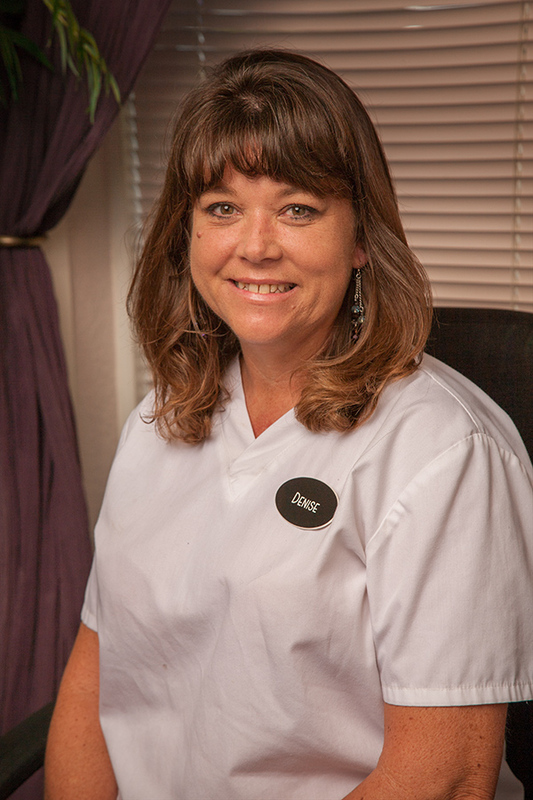 Denise has worked for Dr. Strubbe for over 16 years. She is Licensed Massage therapist MA9566 Denise is one of the best massage therapists in the world! (Maybe we are a little biased here at Dr. Strubbe’s ) However, our patients love seeing her. With her caring, soft personality patients respond to her very well. She is very knowledgeable and takes a special interest in each individual patient. She encourages feedback from the treatments she gives. Her goal is to make you feel comfortable. We feel very confident that you will enjoy and benefit from your sessions with her. She and her husband reside in St. Petersburg and they have three sons. They have two dogs and she also loves traveling the great outdoors.